Welcome to GistDaily.Get the latest news on politics,fashion,entertainments,sports and many more! 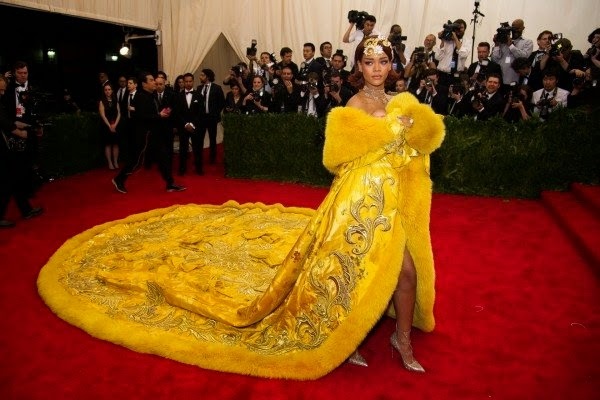 Rihanna and Beyonce may have been among the last to arrive at the 2015 Met Gala in New York – but their extraordinary outfits ensured they still got plenty of attention. Beyonce and her husband Jay Z arrived so late that many photographers were giving up and leaving the annual fundraising gala for the Metropolitan Museum of Art’s Costume Institute. But the music star was worth the wait in her ultra-sheer, bejeweled Givenchy Haute Couture gown by Riccardo Tisci. Deep, ruby reds, shimmery golds and other jewel tones dominated the colour scheme as the multitudes of invited celebrities embraced this year’s China: Through The Looking Glass theme. There were sequins aplenty, and embroidery was everywhere.